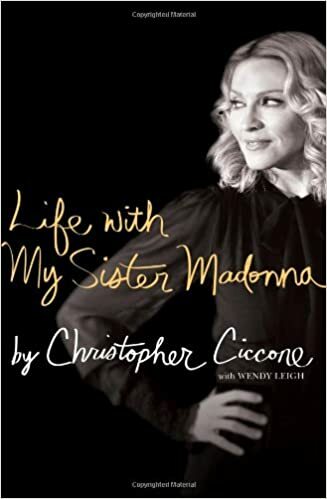 Ciccone's extraordinary memoir is based on his life and forty-seven years of growing up with and working with his sister - the most famous woman in the world. onstage. “Hello,” she blares in her distinctive voice, “I’m Liza!” “I’m Madonna.” “I know, I know,” says Liza, “I’m a massive fan of your work!” “So am I,” Madonna says, hastily adding, “I mean of yours, of course.” Madonna turns and introduces me. “You were amazing,” I say to Liza. Liza gives us both a broad, toothsome grin. The dressing room door opens. Her grin immediately fades. A group of fans enter. Liza’s grin glitters again, only this time not at us. Madonna and I exchange glances.